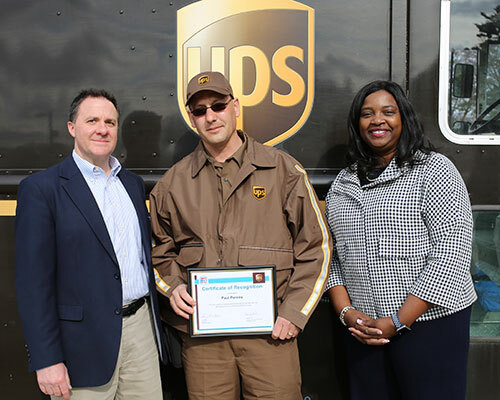 He’s not an official fireman but UPS driver Paul Pereira can now add firefighting to his resume. 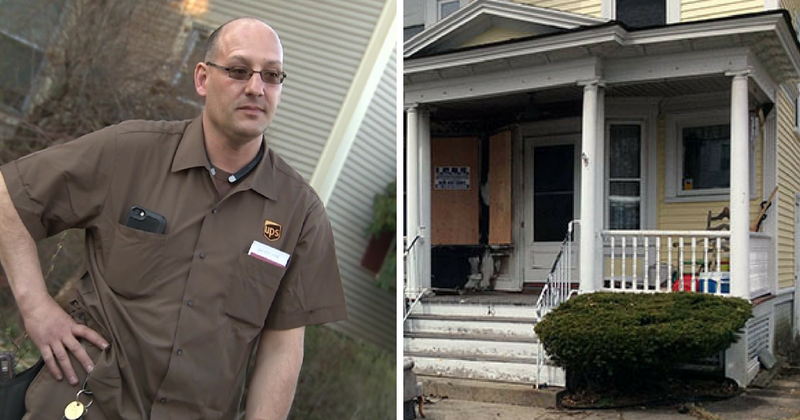 Pereira is being hailed as a hero after he put out a house fire while working his route. 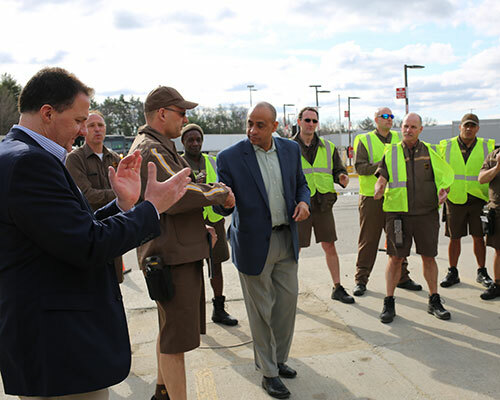 Pereira, who has worked for UPS for 23 years and is a member of Teamsters Local 25, was on his last stop in Chelmsford, MA when he spotted something alarming. 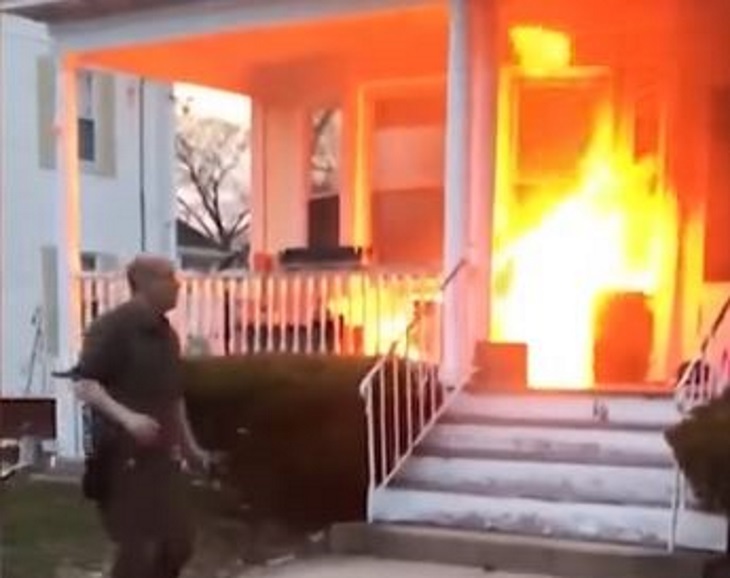 It was just after 7 p.m. when he came across a wicker table that had gone up in flames on the porch of a Hamilton Avenue home. The flames started to creep up the side of the home and he knew he had to act fast. Brian Lavender’s wife, Tracey Lavender, and daughter were inside the home and thought that someone in the neighborhood was grilling. “The next thing she knows, there was banging (and) ‘Fire, fire, fire get out,'” Lavender said. As the ladies fled the home, Pereira asked for a garden hose. He then climbed up onto the porch to extinguish the flames at the source. 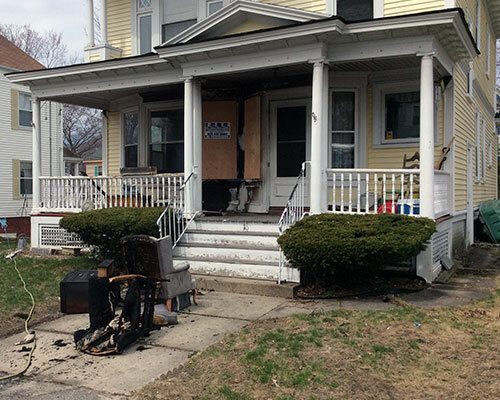 “I did my best to limit the damage that was done to the house,” Pereria told WHAV. 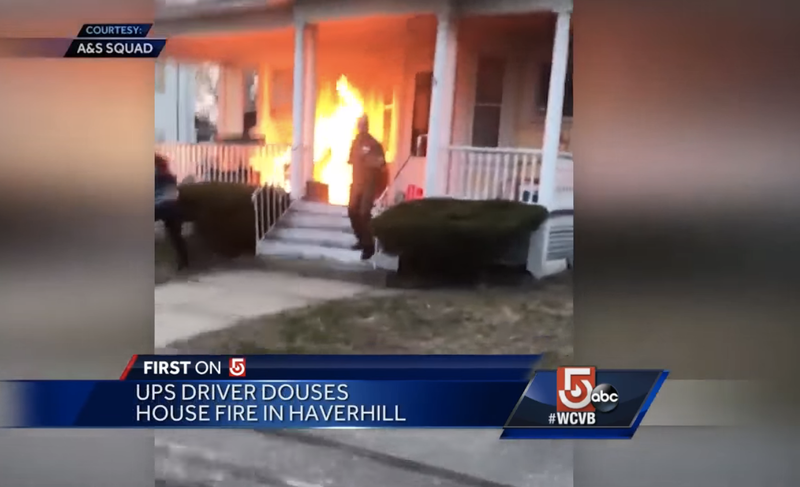 A neighbor captured his heroic act on a cellphone video. “I didn’t realize how big the flames were until saw the video myself,” he said. It wasn’t long before the fire department showed up but by the time they did, Pereira already took care of the fire. “Had he not been there, that entire porch would have been engulfed,” said Peter Brown, a neighbor. Haverhill Fire Chief William F. Laliberty applauded Pereira for his efforts. But if you ask Pereira, he says that he’s no hero. “I don’t feel I am a hero. I think anybody would do it if they saw a fire, you know, act on it,” Periera said. You can watch Pereira fight the flames in the video below.